One of Norfolk’s premier children’s entertainers! Whatever the event, fun is never far away with Stevie Spud! 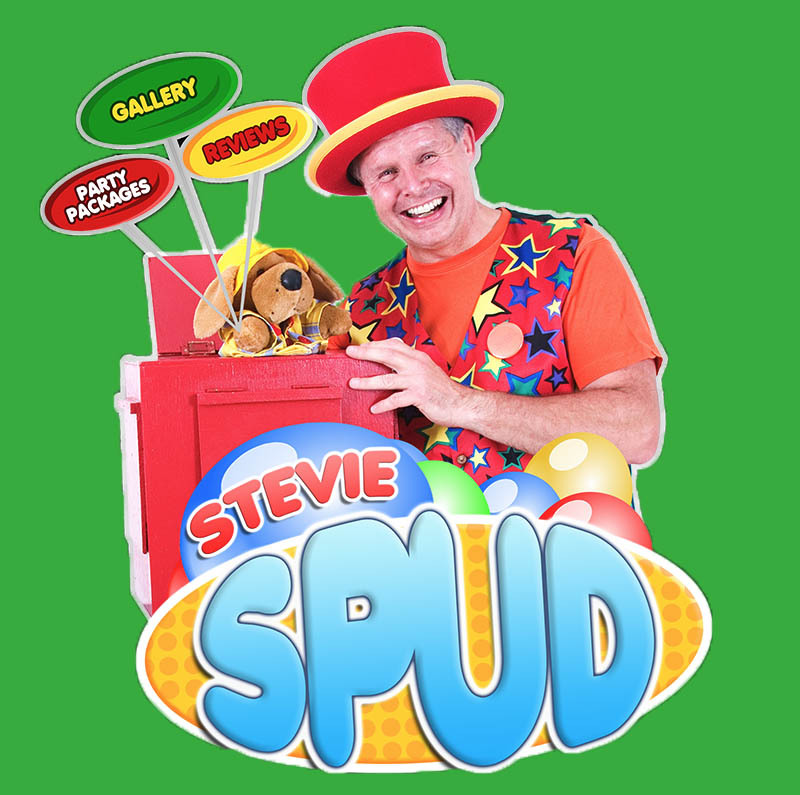 A full time professional children’s entertainer, Stevie Spud has been providing miles of smiles at parties and events for over 20 years, with many repeat bookings for family occasions and annual events. 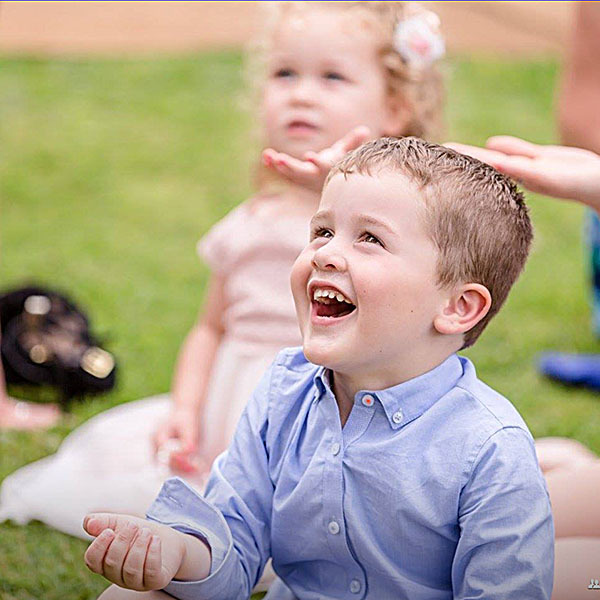 Stevie knows that the secret to a great special occasion is fantastic fun for the children and a stress free time for the grown-ups! While your little ones are happily enjoying a unique mix of silly slapstick, clowning, exciting games and magical mayhem, Mums and Dads can relax – safe in the knowledge that your children are having a fabulously fun time. With a wonderful blend of child-friendly warmth and funny antics you can be sure that the children (and adults!) will have a great time that they will remember for years to come. Stevie Spud is a children’s entertainer with a difference. Circus Skills Parties & Workshops – Structured sessions for schools/groups – even a novel team building exercise for companies and businesses! Event Entertainment – Ideal for larger organised public events. 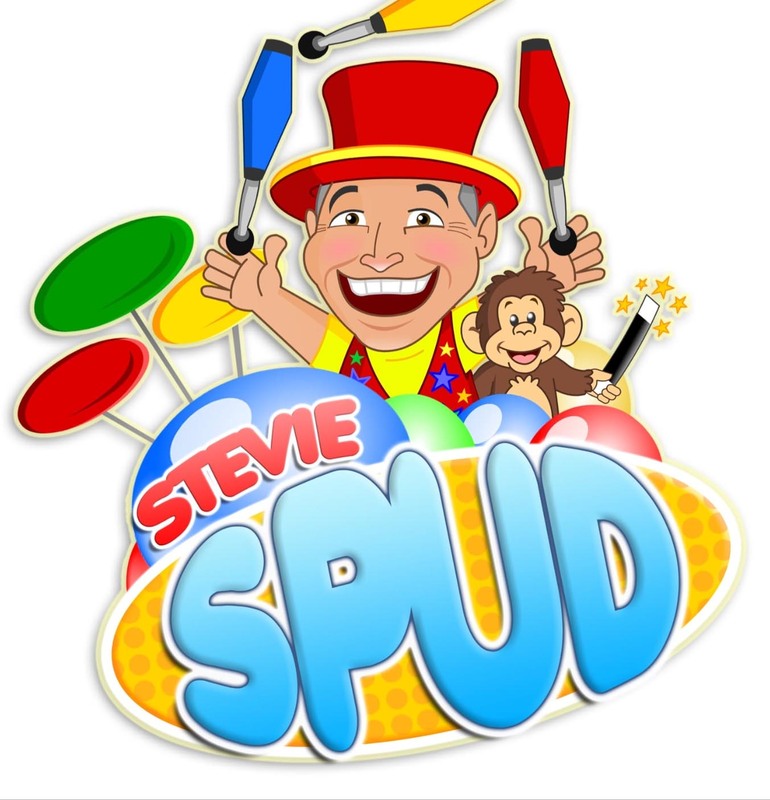 Whether you need fun-filled activities in one location (such as a show or have-a-go circus skills), or crowd entertainment with walkabout juggling, balloon modelling & magic skills, Stevie Spud will leave everyone smiling. The Hedgehog Class had a wonderful time with Stevie Spud when he brought his Circus Skills Workshop to school. He showed them how to juggle with scarves. spin not just one plate but several ! The children were able to balance peacock feathers, juggle with flower sticks and learn the early skills of stilt walking and unicycling! The children were thoroughly entertained by Stevie who gave each individual child gentle encouragement as the practised the skills on their own. From Sadie, Mum to two sons aged (13) and (6). My eldest son recommended Stevie Spud as he had seen him entertain at various events. I booked Stevie for my youngest son’s sixth birthday party and he was great. The party had a flag theme and Stevie included pulling out coloured flags from his hat as part of his magic show which was really nice. He was great with all the children, keeping them all entertained and happy. The children really loved the plate spinning and so did the mums and dads! My son’s favourite part was Stevie’s puppet called Chips. Stevie made all of the children a balloon model to take home too! A great children’s entertainer. I just wanted to say a big thank you for all your hard work at the weekend. Lord Mayors was a great success and I managed to pop over to the children’s corner and it looked really lovely and all the children seemed to be having fun. I hope you managed to have a moment to enjoy it! I look forward to working with you again in the future.